WAR! What is it good for? | AMERICAN HISTORY RULES! TARGET – I can explain and evaluate the various reasons why people opposed the war in Vietnam. America’s involvement in Vietnam was the most controversial issue of the 1960s and 70s, and the war created the most vocal and varied opposition of any war in our country’s history. What were the reasons for this opposition? Why did so many Americans oppose the American involvement in Vietnam? You will receive a SPECIFIC protest topic that you will share with your fellow protesters in class on Monday. 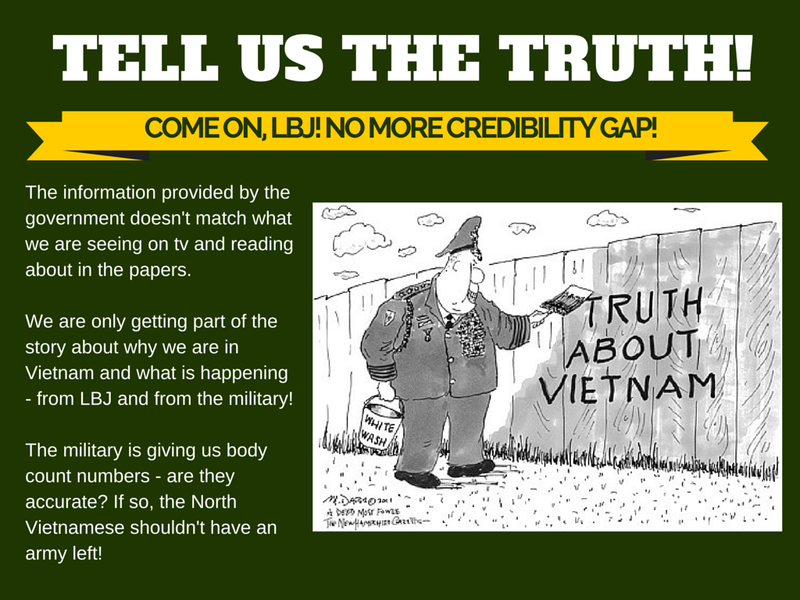 Take a look at the resources and jot down some of the reasons that the topic became controversial during the Vietnam conflict. Then, create something that you would use to help spread your views at an anti-war rally during the conflict. You can make a protest sign, a note a leaflet or pamphlet to hand out, a protest button or T-shirt – you name it!